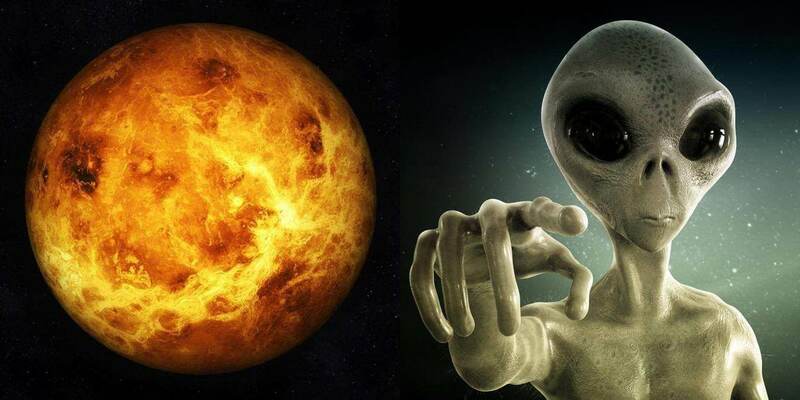 As scientists continue with their hunt for extraterrestrial life, a new paper published in the journal Astrobiology proposes that alien microbial life could be present in the atmosphere of planet Venus. The idea that the clouds of Venus are potentially habitable was proposed decades ago by biophysicist Harold Morowitz and astronomer Carl Sagan. The recent study, however, was inspired by the idea of Grzegorz Slowik of the University of Zielona Góra in Poland. During a chance meeting, Slowik told study researcher Sanjay Limaye, a planetary scientist from the University of Wisconsin-Madison, about bacteria on Earth with light-absorbing properties that are similar to those of unidentified particles that compose dark patches in the clouds of Venus. These particles have nearly the same dimensions as some bacteria on Earth. Limaye and colleagues now suggest the possibility these patches could be comparable to algae blooms that can be found on Earth’s bodies of water. Researchers said that terrestrial microorganisms on Earth, particularly bacteria, can be swept into the atmosphere and have been found alive at altitudes as high as 25 miles. There are also microbes that are known to live in incredibly harsh environments on Earth such as in deep-sea hydrothermal vents, acidic lakes and the hot springs of Yellowstone. These microorganisms can feed on carbon dioxide and produce sulfuric acid. Study co-author Rakesh Mogul, from California State Polytechnic University, said that the cloudy, highly reflective and acidic atmosphere of Venus is mostly composed of carbon dioxide and water droplets that contain sulfuric acid. Scientists have been studying Mars and the moons of Saturn and Jupiter as possible worlds that can support life. However, the new study calls for another look at the clouds of Venus for a possibility that they can host life. Limaye noted that planet Venus has had plenty of time for life there to evolve on its own. The scientist cited models suggesting that Venus used to have a habitable climate and had liquid water on the surface for up to 2 billion years, which is much longer compared with what is believed to have occurred on Mars. “Particles in Venus’ lower clouds contain sufficient mass balance to harbor microorganisms, water, and solutes, and potentially sufficient biomass to be detected by optical methods,” the researchers wrote in their study, which was published on March 30.